The woman is in her mid-40s and suffers from 'acuphagia', a rare disorder which causes the person to eat metallic objects, the doctor said. A mangalsutra, bangles and iron nails, weighing around 1.5 kg in total, were removed from the stomach of a mentally-ill woman after a surgery at the civil hospital, a senior doctor said Tuesday. 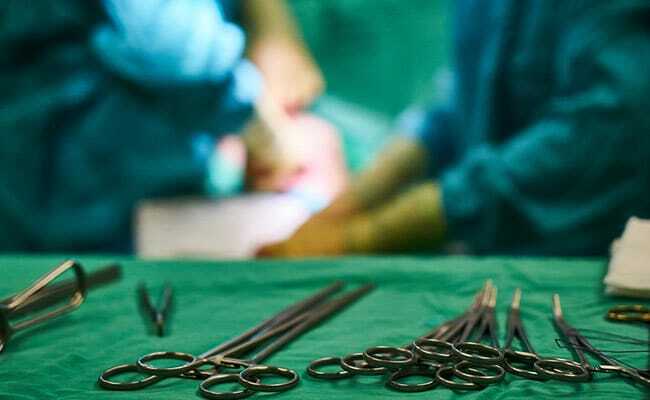 Iron nails, nuts and bolts, safety pins, U-pins, hair pins, bracelets, chains, mangalsutra, copper ring and bangles among other things were taken out of her stomach after the operation which lasted for over two hours, said Dr Nitin Parmar of the hospital. She was brought to the civil hospital from a government-run mental hospital where she had been admitted after being found wandering in the city streets, he said. "She complained of stomach pain. Her stomach was found to be stone-hard. X-ray revealed several foreign objects in her body, so an operation was performed. Safety pins were protruding from her lung and had punctured the stomach," Dr Parmar said. The woman hails from Shirdi in Maharashtra and the mental hospital authorities are trying to find her relatives, he said. She has been kept under observation and her condition is stable, the doctor added.